Partners Capital, the leading global Outsourced Investment Office with $24 billion of assets under management adds to its senior management team with the promotions of Elizabeth Trotta and Adam Watson, from Senior Principal to Managing Director. Together the 15 Partners and 6 Managing Directors, led by Stan Miranda as Founder and CEO, oversee a global team of 160 people, across six offices. Elizabeth Trotta joined Partners Capital in Boston in 2009, before opening the New York office in June 2014 where she is now located. She serves as CIO to a number of the firm's US institutional clients as well as Private Equity and Real Estate professionals. Elizabeth's US institutional clients include the Metropolitan Opera Association and The Paris Review, both in New York, and The Seaver Institute of Los Angeles. Since joining, Elizabeth has contributed to the firm's manager due diligence across asset classes including Public and Hedged Equities as well as Liquid and Illiquid Credit. 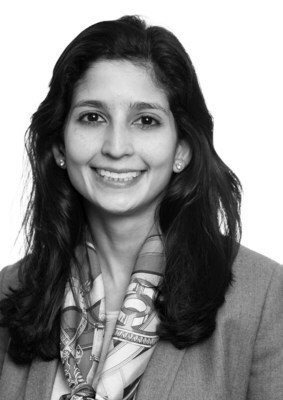 Prior to Partners Capital, Elizabeth was a Research Associate at Hartz Capital and a Financial Analyst at Goldman Sachs in their Investment Management Division in New York. Elizabeth received a Bachelor degree in Business Administration from the Ross School of Business at the University of Michigan. Paul Dimitruk, the Chairman of Partners Capital, said: "Elizabeth has become one of our most senior and accomplished Client CIOs, responsible for some of our most complex client investment programs. She exemplifies the Partners Capital client service ethos and ability to build and manage highly sophisticated global investment portfolios". 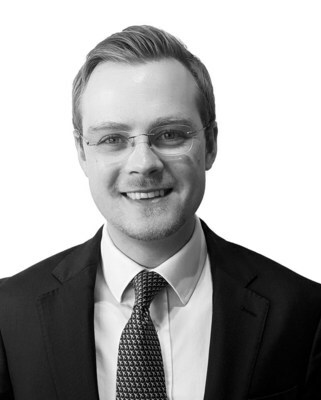 Adam Watson joined Partners Capital in London in 2009, focusing on the firm's Long-Short Equity investment programme. In 2013 he moved to Hong Kong to build the firm's Asia presence, before relocating to Singapore in late 2015, where he is now based. Adam has played a significant role in designing and executing the investment strategy in Asia, with an initial focus on Public Markets before taking on the lead role in the firm's Private Market investments in the region. Adam also serves as CIO to a number of client portfolios across Singapore, Hong Kong, Malaysia and Australia. Prior to Partners Capital, Adam worked as a Management Consultant with the Boston Consulting Group. He completed his Undergraduate degree in Economics at the University of Cambridge and has a Masters in Finance degree with Distinction from the INSEAD Business School. Adam is also a CFA Charterholder. Arjun Raghavan, the Partners Capital Asia Head, said: "In his 10 years at Partners Capital across Europe and Asia, Adam has grown to become a seasoned investor and client portfolio manager. Adam has fully earned a place in the leadership team of the firm by virtue of his role in building the firm's Asian client and investment research business from the ground up". Founded in 2001, Partners Capital is a wholly independent Outsourced Investment Office (OCIO) primarily serving sophisticated institutions and senior investment professionals in Europe, North America and Asia. With offices in Boston, New York, London, Paris, Singapore and Hong Kong, the firm is one of the few truly global OCIOs, employing 160 people worldwide and covering all major asset classes. The firm oversees assets of $24 billion. Its institutional clients include a number of Oxford and Cambridge Colleges, Eton College, the Metropolitan Opera Company, the Research Foundation for the State University of New York, the Royal Academy of Arts, Milton Academy, the Hong Kong Cancer Fund and the Cancer Research Institute. Additional information on Partners Capital may be found at http://www.partners-cap.com.